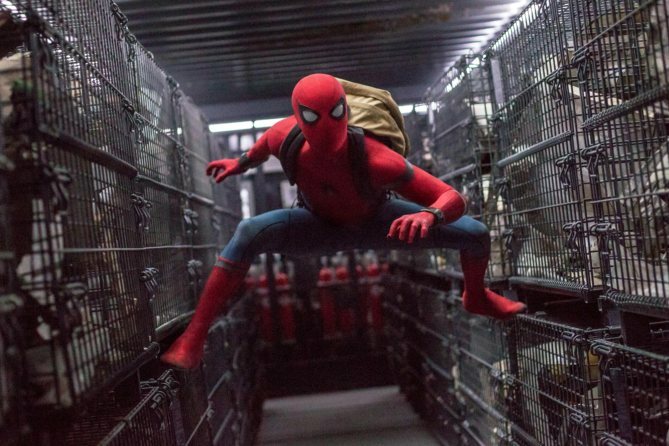 By now, you’re well aware of all the positive buzz surrounding Spider-Man: Homecoming, which will serve as Peter Parker’s first solo adventure set within the confines of the Marvel Cinematic Universe. And while it’s sure to be chock full of action and intrigue, it sounds like it may not be as heavy on the romance. Now, while none of us were in the editing room, there are various reasons we could surmise for liplocks not making the final cut. One, of course, could be for time (various other scenes suffered the same fate, mind you), but we must never forget that Marvel Studios always looks at the big picture. After all, Homecoming is said to be the first part in a multi-picture arc, so Kevin Feige and company may have called an audible, formulating plans for different love interests down the line. Ultimately, this could be a situation somewhat comparable to how Shailene Woodley’s Mary Jane Watson was entirely cut from The Amazing Spider-Man 2. If indeed that’s the case, the creative minds could be readying their own version of either MJ or Gwen Stacy for the MCU, with Liz Allan eventually being married off to Harry Osborne as she was in the comics. The unfortunate reality, though, is that we can probably rule out Peter dating Felicia Hardy because, you know, Sony has other plans for her. Spider-Man: Homecoming arrives in theatres this Friday, July 7.